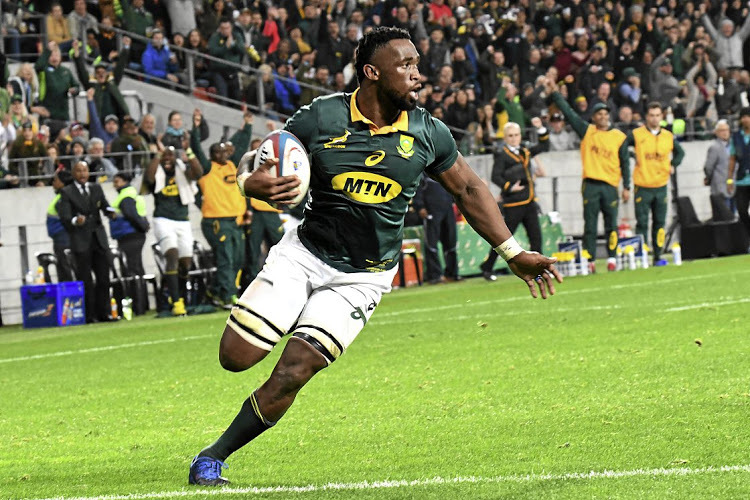 Nearly 55,000 people headed to Ellis Park, one of the spiritual homes of rugby, to see the Springboks draw first blood in their test match series against England. In a nerve-wracking match, the Boks edged the Roses 42 points to 39. Siya Kolisi, wearing the number 6 jersey made famous by Francois Pienaar and Nelson Mandela, became the 61st Springbok captain, and the first ever black South African to captain the national team. His fellow back-row forward, Duane Vermeulen, back in the green and gold after a stint with Toulon in France, was a force to be reckoned with, while Faf de Klerk, also back from international exile, provided the team with a new spark. Wonderful tries by the two debutante wings, S’bu Nkosi and Aphiwe Dyantyi, capped off an exciting display and there were great performances by Willie le Roux, Handre Pollard, Steven Kitshoff and the towering RG Snyman. The Springboks, under their new coach Rassie Erasmus, will be delighted with their performance tonight and it will give them confidence going into the second text next Saturday in Bloemfontein. And it starts…The World Cup is underway!